I have written before about how I think public administration generally and ASPA specifically is trying to find its identity in these political times. It is in moments like these during an administrative and possible constitutional crisis that it is worthwhile to reflect on the history of public administration. How did we get to this point? 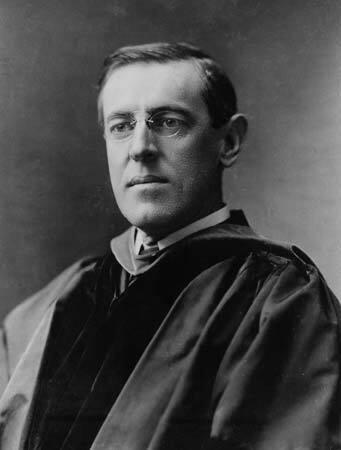 In 1887, Woodrow Wilson published an article in Political Science Quarterly entitled The Study of Administration. President Wilson is considered one of the founders of public administration in large part because of this article, but the field was around long before that. Even Wilson himself admitted colleges were already teaching administration in 1800. As H. George Frederickson points out in Public Administration with an Attitude, the federalists Alexander Hamilton and Thomson Jefferson were the original public administration guys. Instead, what Woodrow Wilson should be known for is the specialization of public administration. He was arguing this discipline is worthy of specialists and that public administration should be a science. I am looking around at the public conversations and federal government directories, and I cannot find the kind of specialists I think Woodrow Wilson was talking about. In the media, we see good specialized reporters talking about other issues they have no experience with on generalist podcasts. In campaigns, we see paid surrogates defending platforms without any training or prior knowledge of the issues on national television. A growing share of candidates running for office have no prior experience (and this is not just in reference to Donald Trump as Al Franken would also be an example of an inexperienced politician). The current secretaries of many major departments in the federal government have no prior experience including State, HUD, and Education. Where are the specialists? I am sure there are many faithful midlevel managers with MPA’s, but no one I meet calls themselves public administrators or even civil servants. The mid-level administrators are budget people, or crisis managers, or some other specialized field. Who are these specialized administrators? The National Capital Area Chapter (NCAC) of ASPA has by far the highest share of practitioners, and I sit on the board and chair the membership committee, but most of the people I meet at our meetings work for support agencies or are retired. Maybe the federalists of today are just hard to access, but my good friends and I are considering returning to school for additional degrees because we think public administration is not tangible enough. That is sad. I know universities have tried to address this problem of a generalist field by creating areas to specialize in such as budget and finance, crisis management, nonprofit management, HR and who knows what else. But break the field apart too much, and you will end up just recreating other specialized fields. Another thing that is sad is public administration is something more correctly associated with the academic discipline, though I think Woodrow Wilson would differ with me there. Search for great public administrators, and you will likely find historical figures. If the public administrators you look up to are still around, they are probably consultants or professors. Another possible hiding place of these public administration scientists is the local level. My search has led me here. I have enjoyed the passion and data that urbanists and local government administrators seem to have such a knowledgeable grasp of. For example, I am interested in community development, and some of the best research based policy proposals I have even seen can be found in local urbanist blogs normally backed by a million man hours and a small nonprofit. I am referring to Greater Greater Washington here in D.C. or Strong Towns in the Midwest. Truly amazing work, but I have yet to hear any of these policy wonks call themselves public administrators. ASPA is normally defined as a generalist organization. We label consultants and nonprofit managers as “practitioners,” and those are of course outnumbered by students. The share of ASPA members who work for a government directly is low. Let us be honest about that. Once we break apart federal government versus state and local, I wonder what we would find. I would argue we should return to the idea that government is a specialized discipline. I realize that means we’re not as attractive to the generalist minded students or the theory minded professors, but desperate times call for drastic measures. One Response to What is a Specialist? I think they’re there. It’s like Shakespeare’s quote – a rose by any other name is just as sweet. We learn and practice public administration. Practitioners can be called program managers, analysts, specialists. I feel they can also be called by the generic “public administrator” or by their more specific titles – doesn’t matter. As long as they’re practicing the science of public administration, the science is being carried out. Doctors practice medicine, even though one may be a urologist, the other a OB-GYN, they’re still labeled an MD.